1. 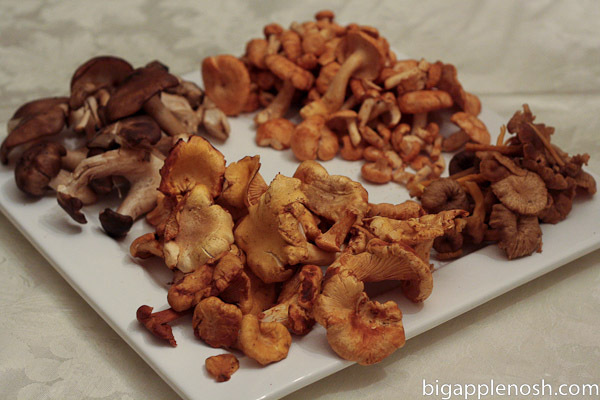 Select and chop your mushrooms. I chosethe fried chicken (far left) and yellowfoot (far right) mushrooms for this recipe. They were flavorful enough to stand on their own, yet did not compete with each other. 2. 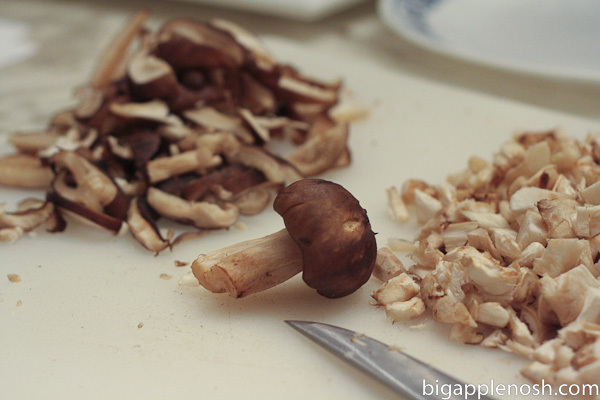 Saute the mushrooms in olive oil until tender. 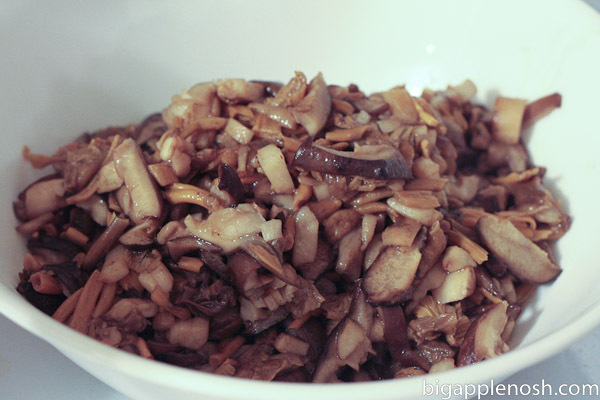 Set sauteed mushrooms aside. 3. 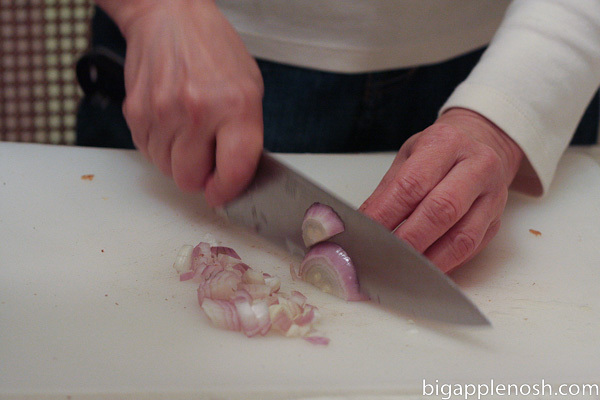 Finely chop shallot. Saute over medium heat in 1 tbsp olive oil until translucent. 4. 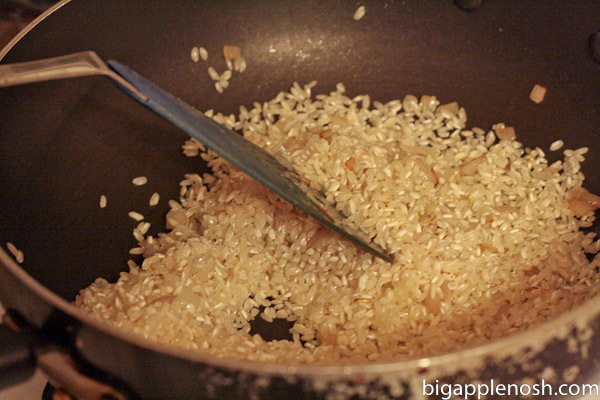 Add Arborio rice to shallots and stir until rice is coated with olive oil. 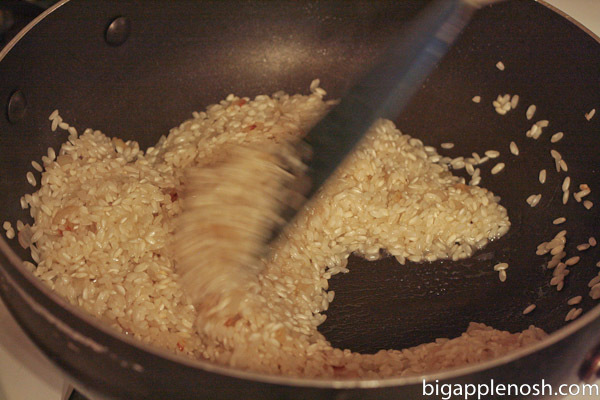 When the rice takes on a pale golden color, add the white wine. Keep stirring! 5. 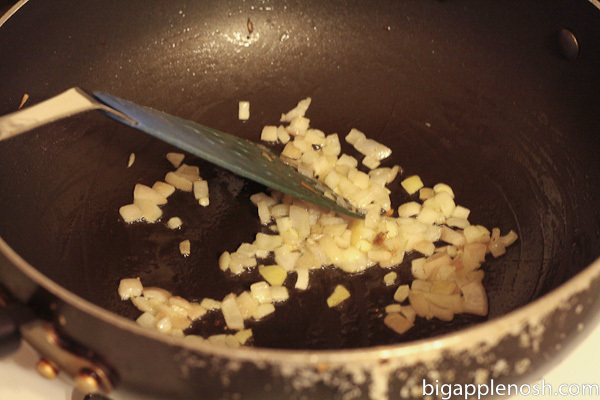 Once wine is absorbed, add chicken broth in 1/2 cup increments, stirring constantly. 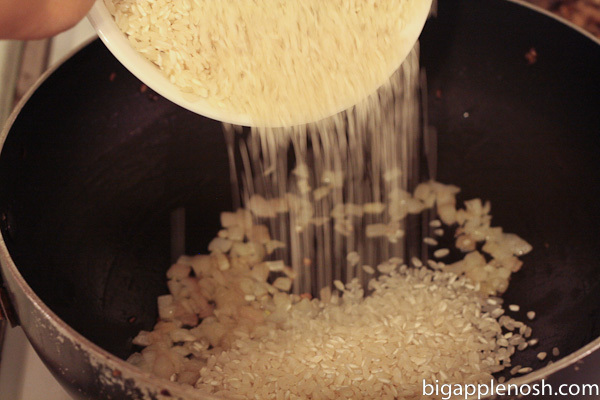 Every time the 1/2 cup of broth is absorbed, add another 1/2 cup until rice is al dente. Keep stirring! It should take 15-20 minutes. You may not use all 6 cups. 6. Turn off stove. 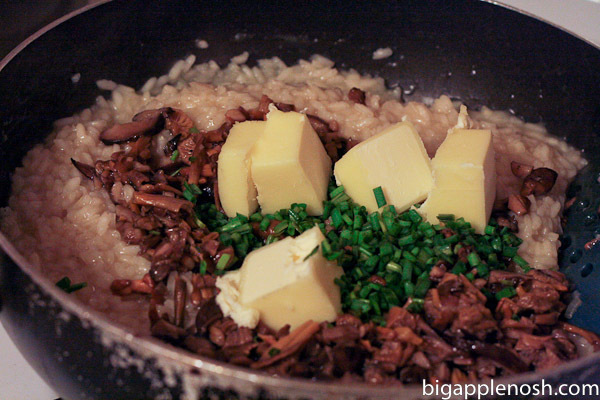 Add mushrooms, butter and chives to cooked rice and combine. Note: Yes, that’s a lot of butter. You don’t have to add all of it. But then, it won’t taste nearly as good. Consider yourself warned. 7. Add Parmesan and stir to combine. Season with salt and pepper to taste. 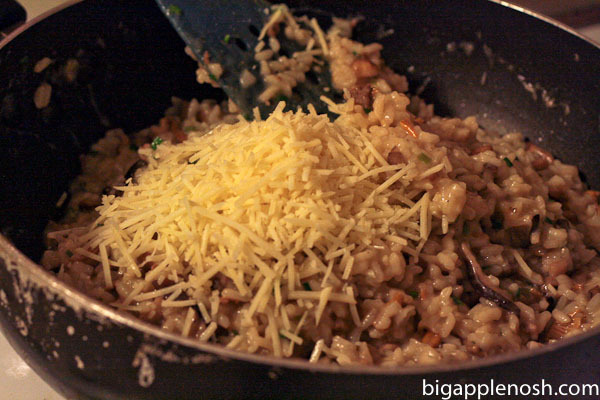 I must admit – this risotto is GOOOD. (How could it not be though – Would you like some carbs with that butter?). I had some for dinner, midnight snack, breakfast and afternoon snack. Then I ran out, and I was sad. Try it and let me know what you think! Yum! Perfect for a cold, rainy day. 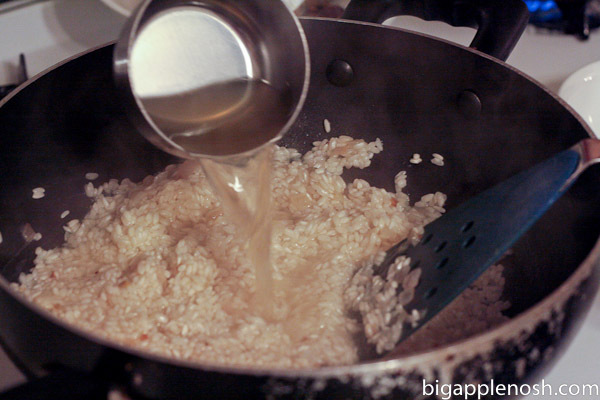 I've always wanted to make risotto! This is a must try recipe. 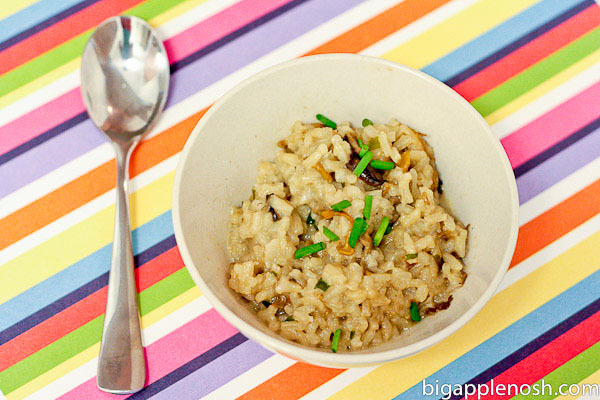 I love risotto – perfect for a crisp, fall day. Too bad it's been in the high 70s and low 80s here on the left coast 🙂 Maybe in a few weeks – looks delish! WOW, yum!!! I'm going to have to try this soon. Oh my please send some over this way – it looks amazing! 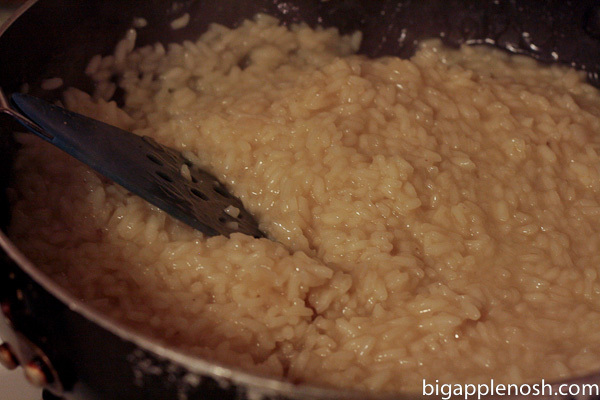 I love risotto! I'm making butternut squash risotto this weekend, I think. I will have to try this one! OMG, I'm dying. That looks seriously amazing, and what a great way to use your mushrooms!! Take it from Sister Nosh – it was delishcrumpchamazing, and I cried a little when my portion was finished.. These pictures make me miss it more. Yum! I add leeks to mine. So good. 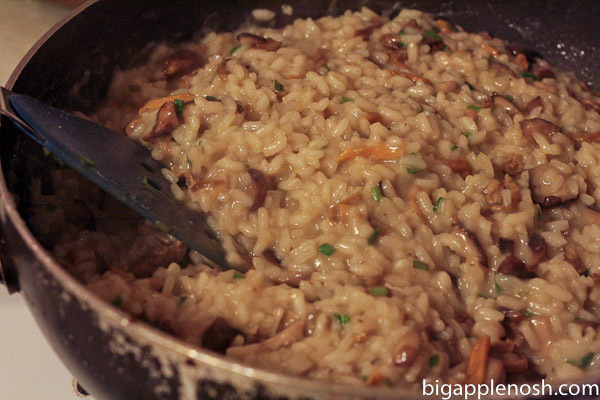 oh i love mushroom risotto, and this one looks like it tops them all! If you ate it for all three meals, it must be good! 😀 YUMM! Yum, yum, yum!!! So perfect for a cold, rainy day like this. This recipe has all of my favorite things in it! Not sure if I would try it myself (I'm scared of attempting risotto), but I think I can try to convince hubby to attempt it! Mmmm…that looks very delicious. I would love to try. Would be so good int his cold weather with all the wine there 😀 Thanks very much for dropping by while I was away. Hope you have a great day! So, these mushroom shipments … I would like that. How does one get mushroom shipments? In the meantime, I will make this. The pictures demand it.